What different condo types are there ? 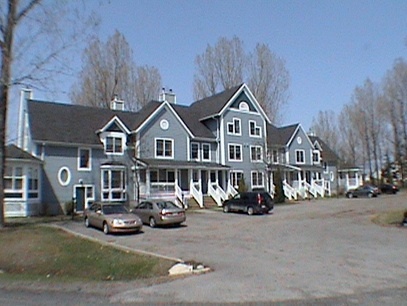 In each of the six buildings there are two of each condo model. Dividing a building in two from the highest peak will yield two mirrored halves. Each of those halves house one condo of each type for a total of eight condos per building. The end unit, A type, has two floors plus a basement. Next in from that, townhouse style, with two floors plus basement, is the B type. Next in from that is the D type occupying the upper two floors of the middle and a third of the basement. The C type has the main floor below the D and the other two thirds of the basement. Generally, the main and upper floors are pretty much identical within a model type. Bigger variances will be found in the basements. The original plans called for unfinished basements. The original owners had some basements finished, some half-finished and others left unfinished. Subsequent owners may have continued or finished the basements. In 2018, the vast majority of units have fully finished basements adding one more bedroom, an extra bathroom and storage facilities. Another difference is the gazebo of the A units. 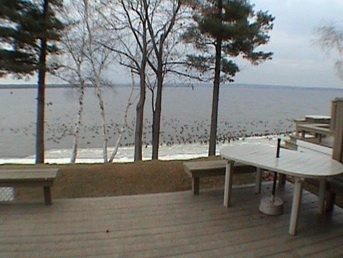 Some have been closed up and winterized adding even more footage to an already big condo. The gazebo offers a 240 degree view. Additionally, some A models, have a second fireplace in the basement. Before I answer, let’s see the features of each. Don’t forget that the basement configurations of two condos of the same model can vary. 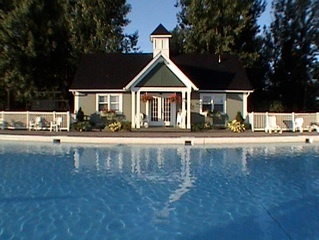 -2,133 net square feet with finished gazebo with outdoor storage underneath. A units for sale: There are no condos of this model currently for sale. Leave me your contact info and I will get back to you as soon as a model A comes on the market. - As the back wall is almost all glass, the views are amazing. - As a townhouse you still have the “house effect” of the A but at a smaller price. B units for sale: 23B 39B & 42B. Please call me to arrange a visit. -The most versatile model. You can have a huge master suite in the basement and later in life move your main bedroom to the main floor. - All the important rooms are on the main floors. Perfect for mobility reduced. C units for sale: 20C Please call me to arrange a visit. 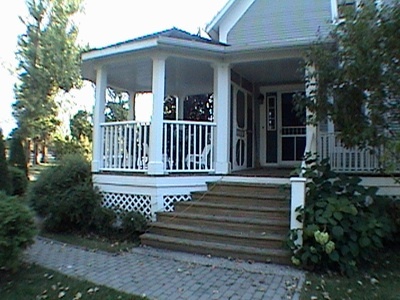 - Its second floor deck offers commanding views and complete privacy. - The week-end guest quarters are private and far from the everyday living space. D units for sale: There are no condos of this model currently for sale. Leave me your contact info and I will get back to you as soon as a model A comes on the market. So which model is best ? I’ve been living at the Hudson Club for the past nineteen years and every time I’ve asked that question to an owner, they almost invariably reply... their model type ! So either the model they picked was perfect for them or they were perfect for the model they ended up buying !!! Which means that the best way to answer this is to visit the different models. Call me now to arrange a visit. As we walk around the Hudson Club you will realise how your lifestyle will change and the possibilities open to you. With this epiphany, the answer to “Which model is the best” will come naturally to you. When you purchase a condo at the Hudson Club you actually join two co-owners associations. for each of the six buildings. 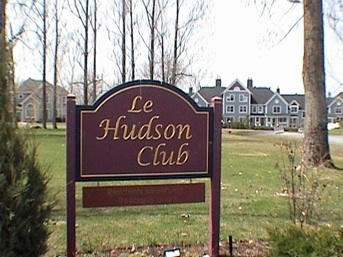 The second is the “Association des co-propriétaires du Hudson Club” or HCA for short. The owners of the lots and homes on Chemin du Domaine belong to the HCA but not to the Syndicates. $135.00 a month of your condo fees goes to the HCA. The rest remains to your Syndicate for maintenance of your building only. The HCA oversees the common grounds not belonging to the different Syndicates or to the homeowners of Chemin du Domaine. 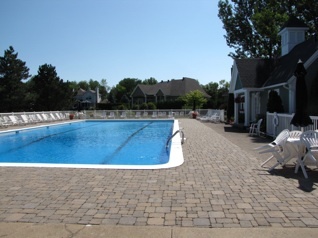 The HCA is also responsible for the pool, beach, tennis courts, pétanque court, play park, entrance lighting and flowers, Chemin du Hudson Club lighting, rond point, overflow parking and the pool house. The HCA has no legal power over the Syndicates but suggests recommendations that the Syndicates usually follow. This keeps the harmonious look between the buildings. Each building is independently run as each has varying needs and priorities. Their physical location affects their maintenance cycles as the buildings closest to the water are subject to more abuse from the elements. 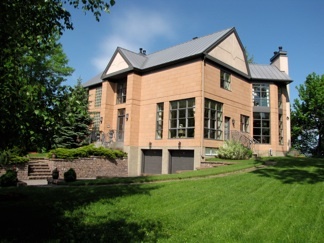 The condo fees vary according to model size those fees are highest for the A and lowest for the C.
The Hudson Club peninsula also offers private residences, ranging from $500,000 to three million dollars, located on Chemin du Domaine. 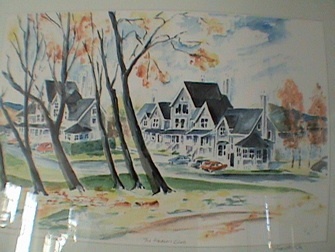 They adhere to a different set of covenants modified to individual homeowners needs while respecting the harmony of the Hudson Club. Owners are responsible for the maintenance of their property, lot and residence, but as they pay the same $135 per month to the HCA as the condo owners they enjoy all the amenities and services that the Hudson Club offers. None at this time: Please contact me to get on a waiting list. Private beach. On the Outaouais river on one of its widest points. It is quite safe as the drop off is slow and gradual. 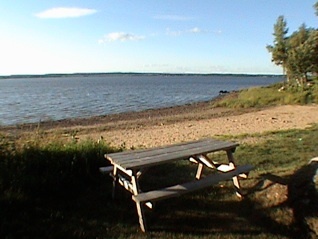 Picnic tables are provided plus Adirondack chairs to watch the windsurfers, the jumping fish, the sunset... or all three at once ! Pool. 82 x 35 feet, immaculate, in-ground, heated, with paving stone surround, set with planters, loungers, tables and chairs. Safety grab bars are provided on the two, shallow end, three step stairs. As this is a private pool, there are no lifeguards and no regulated use hours. Just be quiet if you swim a little later. No pets or glass containers. Sports courts. Redone in 2015 with a rubberized ashphalt compound. 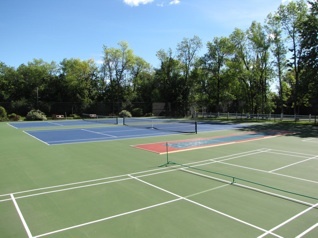 Two blue tennis courts. Two green pickleball courts and one red and green shuffleboard. Pickleball nets can be stacked for volley ball or badminton. A basketball hoop is also on premises but basketballers must leave the courts if tennis players show up. Shoes with non-marking soles are mandatory. Community house. The site of our activities like Bridge, Tai-chi, Cd exchange, etc... houses a book and video library, a functional kitchen for your caterer and a powder room. The house can easily accommodate thirty guests for a sit-down dinner. 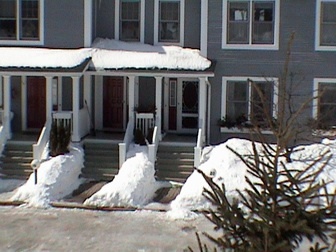 Residents can reserve the house for private functions, if not previously booked, for $50.00 per night but are responsible for cleaning it up after the event. 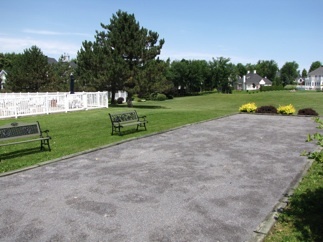 Pétanque court. Remade in 2012. Crushed stone surface with bench seating for spectators and beautiful flower beds. Bring your own pétanque balls. Play park. For our young residents or the grand-children taking advantage of the free baby sitting on week-ends by the Hudson Club grand-parents. 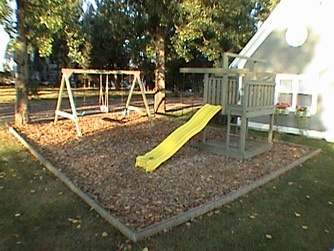 Swing set and rope, fort, and slide on a crushed bark and wood chip surface. Common grounds. 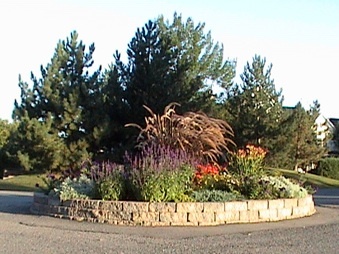 Well maintained mixture of flower beds, grass and forested areas. Great for after dinner strolls, listening to the birds and watching the sunsets. Views. This is definitely a big plus at the Hudson Club. All the utilities are underground. The Victorian buildings are girthed by mature trees set on a carpet of green. Just about anywhere you look you have “long views” This is a plus in an age of “short views” with computer screens two feet away, tv’s six feet away and suburbia housing ten feet away. Security. 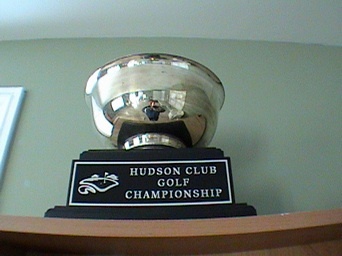 Because of its design and location the Hudson Club has been a safe place since its inception. No reported break-ins, ever, in the condos. As a thief, would you risk targeting an area with only one exit, where people drive slowly, where you are not sure which parked car belonged to which unit and more importantly... which neighbour is watching ? Maintenance. It’s a condo, so it’s all done for you. 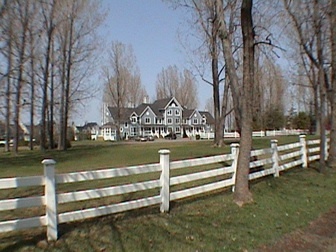 Grass cutting, trimming, painting, scraping, caulking, etc... All done for you... Miss your house yet? Do you own a cottage ? With a home at the Hudson Club you no longer need to be a slave to the maintenance imposed on you by your cottage. Sell it ! Atmosphere. This is probably the best feature of the Hudson Club. If you need friends to share activities, you will find many of them here but if you just want to sit on your deck quietly and read a book you won’t feel pressured into any activity. The Hudson Club is a very tranquil place. We place a premium on being attentive to our neighbours. Nature. The Hudson Club is also a perfect place to observe nature. 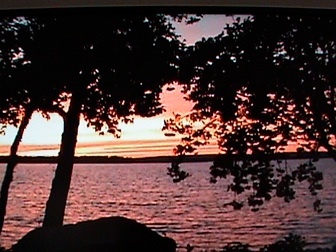 Throughout the years, from their decks, residents have seen foxes, moose, eagles, deer, beavers, geese, herons, etc... Plus all the jumping fish on lazy summer evenings. Nature, yes... but we have Videotron high speed internet. The best of both worlds. Sunset strolls on our west facing private beach, kayak, windsurfing, paraski, pétanque, biking, aqua-fitness, bridge, tai-chi, library, tennis, kite, cross country ski, snowshoe, etc... We are on a super bike route and if you walk 500 feet east, with 2-3 clubs, you will find a small home made driving range, unless you prefer practising the art of la dolce farniente at the Hudson Club ! The site, basically all of Graham point on the red arrow will seduce canoe/kayak enthusiasts looking for a convenient and safe put-in. 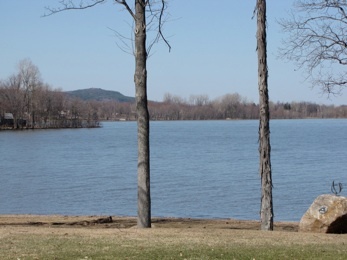 Our private beach is the ideal spot from which to enjoy the Outaouais river in one of its widest parts. Sailors, windsurfers and kiters, this special location, allows us to safely enjoy all winds except those between 75 and 180 degrees which are off-shore. 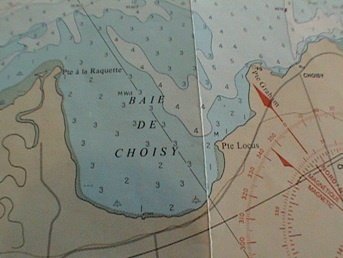 All westerlies are onshore and bring us safely back in case of trouble. Windsurf in summer and paraski in winter. Mont Rigaud. Eight minutes away, offers cross-country and alpine skiing, walking trails, many rock climbing problems, acrobranche, bird and wildlife spotting and an unforgettable viewpoint from the cross. You always dreamed of living in a holiday resort ? Don’t miss your chance. 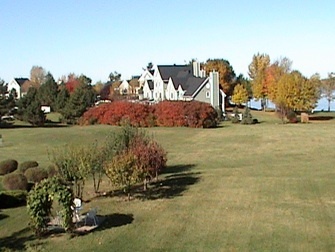 Just west of Hudson and east of Rigaud, all services are accessible, even high speed Internet cable, keeping your home office productive while you listen to the birds chirp as they play in the mature trees. To preserve the serene environment of the Hudson Club, association convenants must be respected but once you walk through the property, listening to the birds, it will all make sense. 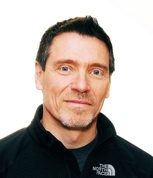 To learn about some of the rules please read our community charter. 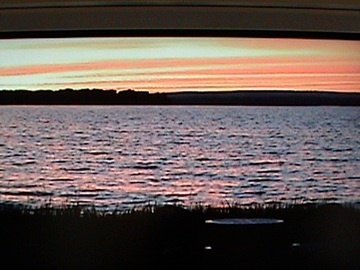 IMPORTANT: Don’t forget to view the movie “A Year at the Hudson Club” to experience how you can live only twenty minutes from the West Island as the Hudson Club is conveniently located between the towns of Rigaud and Hudson. Between the two, they offer easy access to all services. Naturally, an Internet movie and a few paragraphs will not do justice the the wonderful Hudson Club. So please call me. 514-713-7833 We’ll set up a tour, I’ll be your guide and you’ll see first hand that I did not exagerate when writing this. See the photos.